I took this photo in New Mexico while a friend was photographing other parts of the street we were parked on. This building in question was vacant that houses these four north facing windows. I kept seeing the old curtains moving in the second window even when I saw no broken panes or tears in the screen. For a split second, I thought I saw the outline of a woman standing in the second windowpane looking down at me from behind the curtain. 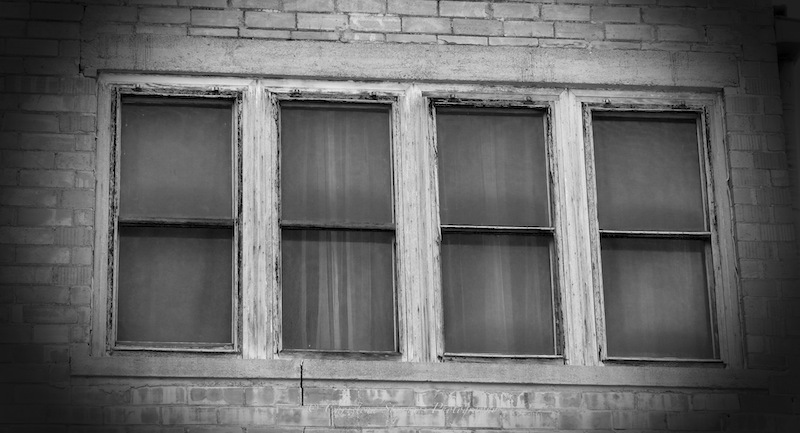 While I don’t know for certain what I saw, these windows have always intrigued me.